Who will be the last undefeated team to fall? Another bloodbath of a week in college basketball saw three top-five teams lose to teams outside the KenPom top 75. Amid all the upsets, seven teams still own undefeated records. A few have played tough schedules, others have cruised through a row of cupcakes. Either way, congrats to Villanova, Miami, TCU, Florida State, Arizona State, Mississippi State and Georgetown on making it this far. Now that it’s mid-December, we’re far enough into the season where there’s intrigue each time one of these seven teams takes the court. So let’s take a look at when to expect each team to lose for the first time. Mississippi State is the next undefeated team to play, and they’ll likely be the next undefeated team to fall. The Bulldogs travel to Cincinnati on Tuesday. Cincy has dropped back-to-back games, but against top competition. The Bearcats are still ranked in the KenPom top 15, and they haven’t lost at home since Dec. 29, 2015. Still, Mississippi State should enter SEC play with at least a 12-1 record thanks to an incredibly easy schedule outside of this Cincinnati game. Georgetown doesn’t belong in this group. The Hoyas’ have played the weakest schedule in the nation with opponents holding a combined 12-62 record. Georgetown’s best win is against Richmond, which is 2-8 and ranked No. 220 in KenPom. The Hoyas’ string of cupcakes finally ends Saturday when they host their old Big East rival Syracuse. Georgetown has not had to face anything like Cuse’s length yet. The Orange starting lineup runs 6-foot-5, 6-foot-6, 6-foot-8, 6-foot-8 and 7-foot-2 with size on the bench as well. The Hoyas haven’t been impressive on offense against poor competition, and it’s hard to see them scoring efficiently against this lineup. The Sun Devils are one of the best stories in college basketball. The fast-paced, high-octane bunch already has some big wins over Kansas, Xavier and Kansas State. And all three came away from home as well, and two were by double digits. Arizona State should finish non-conference play unblemished. After Vanderbilt, the Sun Devils host Longwood and Pacific. But they begin Pac-12 play with a three-game road trip that starts with their toughest matchup of the conference season — Arizona on the road. ‘Zona struggled mightily in November, falling from No. 2 to unranked in one week, but they’ve since righted the ship with wins over Texas A&M, Alabama and UNLV. It’s unclear if the Wildcats are the national title contender we thought they were. But they’re looking like the Pac-12 favorite again, and they’ll beat Arizona State at home. That’s a game the Seminoles could lose, but they’ll be sizable favorites. Even if the Seminoles make it through non-conference play at 12-0, they’ll get a rough welcome to the ACC facing Duke at Cameron Indoor on Dec. 30. The Blue Devils were exposed once again defensively in Saturday’s loss at Boston College, which ended their own undefeated start. Boston College needed 15 threes to beat Duke. Florida State’s season-high is 14, and that came in an 88-possession game against The Citadel, which ranks No. 336 in defensive efficiency. This will be a tough one for FSU to win on the road. It looks like TCU will run the table in non-conference play for the second time in four years. Unlike in 2014-15, the Horned Frogs have legitimately good wins over Nevada and SMU to back up their perfect record. There aren’t many teams that can beat TCU at its own style of up-tempo, high-scoring basketball. But Oklahoma, led by Player of the Year candidate Trae Young, is one of them. The Sooners also happen to be the Horned Frogs’ first Big 12 opponent, so get ready to see three undefeated teams fall on Dec. 30. The Horned Frogs’ biggest defensive strength is on the glass, and Oklahoma doesn’t need many second-chance opportunities to succeed considering their efficient shooting and ball control. On a side note, Young and quarterback Baker Mayfield could become the first duo from the same school to win college basketball’s National Player of the Year and the Heisman Trophy since Blake Griffin and Sam Bradford, also of Oklahoma, did it in 2008-09. Miami hasn’t played the toughest schedule, although it does have a solid win at Minnesota. Starting Saturday, the Hurricanes embark on a six-game road trip that will be difficult to survive with a perfect record. They may have to face USC in the Diamond Head Classic, and in their second ACC game they travel to Georgia Tech on Jan. 3. The Yellow Jackets have struggled with losses to Grambling and Wofford, but by ACC play they’ll have star guard Josh Okogie back from a finger injury. As bad as the Yellow Jackets looked in their two-head scratching losses, they also beat Northwestern and lost close games to Tennessee and UCLA. With Okogie back, they could be good enough to sneak into the NCAA Tournament despite the rough start. The Miami-Georgia Tech game will be ugly and slow, and that will open the doors for an upset. But if the college basketball gods are generous, Miami will take its perfect record all the way to its Jan. 15 game against Duke. With Kansas struggling, Villanova has become the model of consistent greatness in college basketball. The Wildcats are No. 1 in KenPom, and they hold a 10-0 record for the fourth time in the last five years. 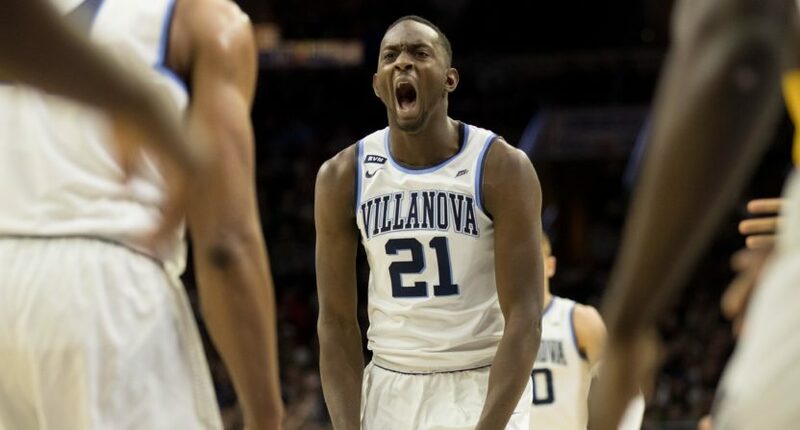 If anybody in college basketball can run the table, it’s Villanova. It’s unlikely given the strength of the Big East, though. KenPom gives the Wildcats a 1.1 percent chance of finishing the regular season unbeaten, but that’s pretty good considering how remarkable of an achievement it would be! The Wildcats could very reasonably make it to mid-February without a loss. Although they have eight road/neutral games from now until the end of February, the best opponents in those games are Temple, Butler, and St. John’s. In other words, borderline top 50 squads that look like bubble teams. Villanova doesn’t have to face Xavier, Seton Hall or Creighton on the road until February, and then all three of those tough matchups are packed within a two-week stretch that also includes a matchup at Providence. So here’s a bold take: Villanova will be 26-0 and lose at Xavier on Feb. 17.